We are here to help you with all of your commercial electrical wiring needs in the Tampa, FL area in an affordable, professional, and efficient manner. 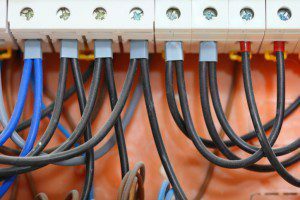 The commercial electrical wiring in your building is made up of many wires and circuits that deliver electricity from the main electrical panel to various outlets. These outlets service appliances, machinery, and other electrical systems at your location. 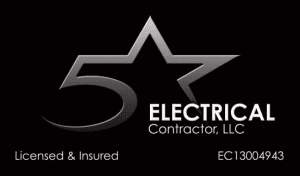 At 5 Star Electrical LLC, we are here to help you with all of your commercial electrical wiring needs in the Tampa, Florida area in an affordable, professional, and efficient manner. Even though all of these signs could indicate that you have a time-sensitive wiring problem on your hands, it’s critical that you call us if you ever notice a burning smell at your location. In some cases, the short may simply be in the outlet, but if the burning smell is coming from the wiring inside the wall, the wiring could easily cause the surrounding materials to catch on fire. At 5 Star Electrical LLC, we have the experience, certification, and knowledge needed to handle all of your commercial electrical wiring needs. To find out more about our wiring services, give us a call today.